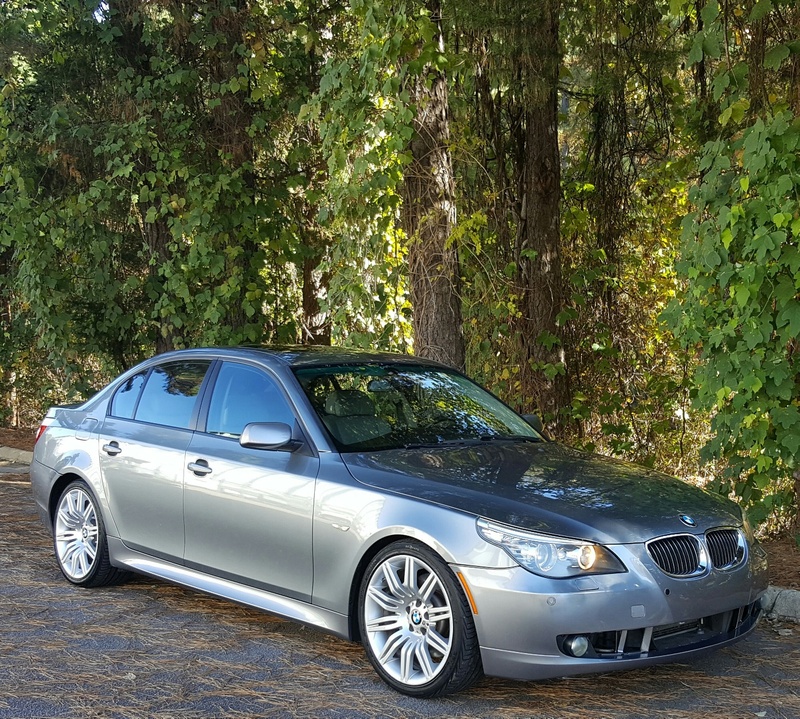 Tough to find, very healthy running Space Gray 2008 BMW 550i M Sport with 112K on the 4.8 liter V8 mated to an automatic transmission, rear wheel drive. 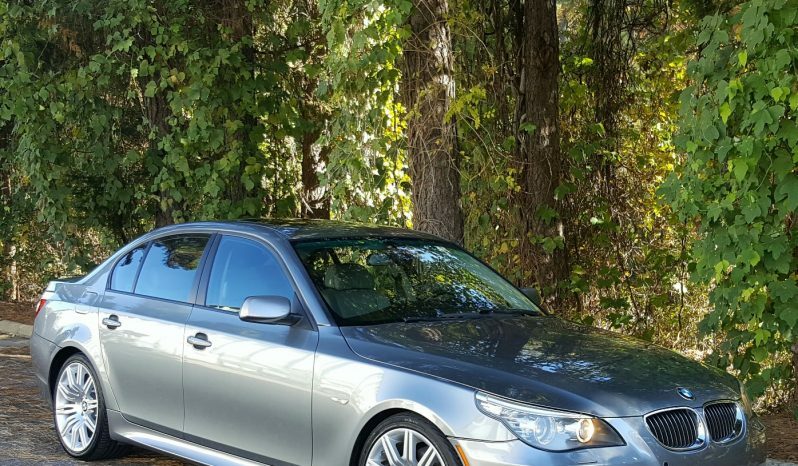 This vehicle is optioned with: keyless entry/go/alarm, traction/stability control, power leather memory seats, navigation, Bluetooth, Satellite radio, auxiliary input, dual climate control, xenon headlamps, front/rear parking sensors, cruise, power sunroof, power windows, power mirrors, power locks, etc. Clean title, clean accident free Carfax and a fresh NC state inspection. This vehicle has received extensive service through our service facility including but not limited to: all timing related gaskets, valve cover gaskets, thermostat, fresh oil change, etc. Feel free to contact us with any further questions or concerns. Thanks for your time!